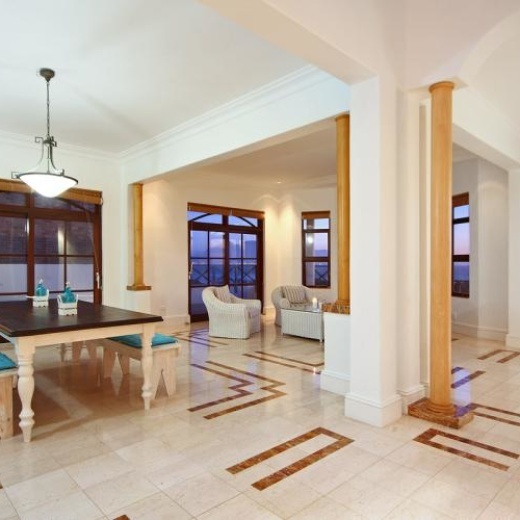 From the breakfast room, sitting room and both bedrooms you walk onto the patio and down 3 steps to get to the beach. Upstairs is the main bedroom (en suite), 2 single bedrooms and a living/TV room. 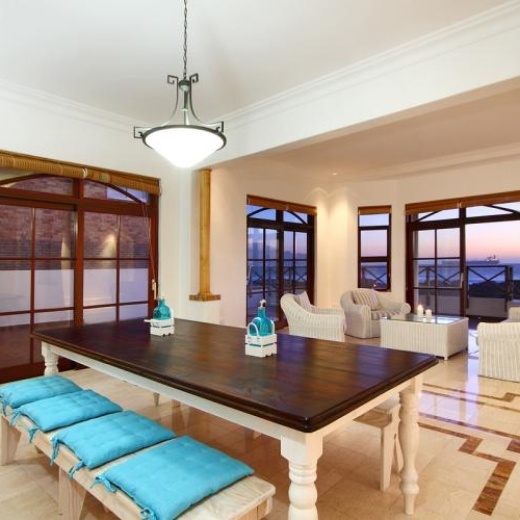 From the living/TV room and main bedroom you walk onto the balcony. The house has 3 garages and ample parking is available. The single garage is also fitted with a washing machine and dryer. Satellite television and ADSL is available. 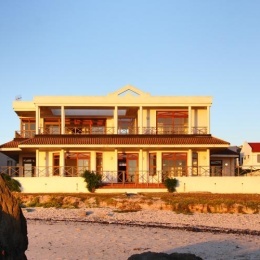 With a picture-perfect setting, right on the beachfront in the sought after Blaauwbergstrand, this modern jewel offers a once-in-a-lifetime opportunity to live your dreams.